Hoogly River and the Marine Drive at Diamond Harbour. 2011 ଜନଗଣନା ଅନୁସାରେ ଦାୟମଣ୍ଡ ହାର୍ବରର ଜଣ ସଂଖ୍ୟା 41.802 ଥିଲା । ଏହା ମଧ୍ୟରୁ ପୁରୁଷ ସଂଖ୍ୟା 50% ଓ ମହିଳା ସଂଖ୍ୟା ଭି 50 % ଥିଲା । 6 ବର୍ଷରୁ କମ ଆବାଡି 3,688 ଥ୍ୱା ବେଳେ ସାକ୍ଷ୍ୟରତା ହାର 85.93 , ଯାହା ଜାତୀୟ ହାର ଠାରୁ ଖୁବ ଅଧିକ ଥିଲା । . ↑ "2011 Census – Primary Census Abstract Data Tables". 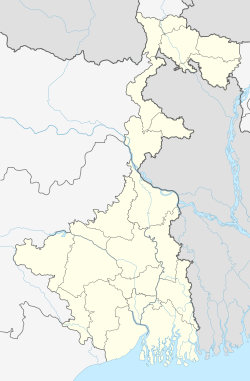 West Bengal – District-wise. Registrar General and Census Commissioner, India. Retrieved 27 April 2016. ↑ "Census of India 2001: Data from the 2001 Census, including cities, villages and towns (Provisional)". Census Commission of India. Archived from the original on 16 June 2004. Retrieved 1 November 2008.